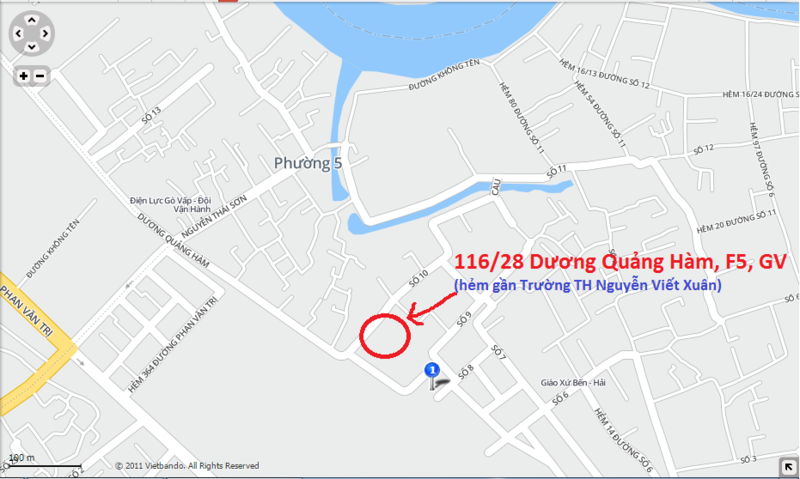 Bán laptop cũ giá dưới ba triệu đồng tphcm - Laptop Dell 1014 dưới 3 triệu đồng gò vấp - Dell 1014 CPU T9550, Ram 4G, HDD 80G, VGA Onboard. Bảo hành 3 tháng. The Dell Vostro 1014 is powered by Intel CoreTM 2 Duo processor with Intel 45 Express chipset. It comes with up to 4GB of RAM and up to 320GB of storage space. Other features include four USB ports, a 2-megapixel camera, a digital microphone, a 5-in-1 media card reader, Wi-Fi 802.11n and Bluetooth. The Laptop is equipped with LED Display, whereas Inspiron has LCD display. Vostro has 4usb ports whereas Inspiron has 3.Vostro has built in Dialup model where Inspiron doesn’t have. It has built in 2MP camera whereas Inspiron has 1.3MP. On the basis of sound its very poor except this Dell XPS L511X battery, it has everything else which you require in a good notebook with affordable price. It is a SMB product regardless to Home user or Business person. This Dell Vostro Series laptop is built on Intel 45 Express chipset and runs the Intel core 2 Duo T6670 processor. The Intel processor has 2.2 GHz clock speed and 2 MB cache memory. The 2 GB RAM memory lets you work on multiple applications at a time. If you want to add more computing power to this laptop, you can extend the RAM up to 8 GB via dual memory slots. Elegant in style, the Dell Vostro 1014 features 14.0 inch high definition WLED Anti-Glare screen with an outstanding display of 1366 X 768 pixel resolution. Swanking of 8 X DVD +/-RW, the picturesque laptop traits connectivity options such as wi-fi, bluetooth, and 5-in-1 card reader. Its primary storage of 5400RPM could easily be expanded up to 320 gb. Flaunting of an Integrated 2.0 MP camera, the top end note book抯 other multimedia features include a built-in speaker and speaker phone. Weighing just over a 2kg, the Dell XPS L511X AC adapter is loaded with Mobile Intel Graphics Media Accelerator X4500MHD. The stunning laptop is steered by Intel Core 2 Duo Mobile or Celeron and operates on Genuine Windows 7 Professional. The notebooks include 1280×720 anti-glare LED backlight displays, Intel’s Core 2 Duo or Celeron processors, the Intel GMA 4500MHD integrated graphics, up to 4GB of DDR2 RAM, up to 320GB of hard drive space, a DVD burner, a 6-cell Dell XPS L511X battery, optional 2MP web camera, a single speaker, 802.11b/g WiFi, Ethernet LAN, and 56k modem connections, four USB ports, an ExpressCard/34 slot, a 5-in-1 card reader, a VGA output, and a Firewire port. The new Dell Vostro 1014 is a good value for money. It is considered as a far better device that the previous Inspiron model. The backup battery of the laptop is rated high. However, the sound quality of the laptop is despicable and considered bad. The Dell Inspiron 14R batteryf is simply an above average laptop that offers powerful features and super outlook. Overall, it is a typical business correlated laptop that offers well mid range features. Vostro is one of many series notebook from Dell. A notebook of Dell Vostro 1014 is packed with big technology to produce a great technology to help you keep in touch by using WiFi facility connection. The specification implanted in this notebook is Intel core TM2 Processor T5870 ( 2.0 Ghz, FSB 800, Cache 2 MB ), GDDR2 memory up to 4 GB, also harddisk Serial of ATA 5400 RPM capacity of 250GB. Not only is that, the screen used, 14” WLED screen saving energy. There are several variants of this notebook are black and red. 1.3 MP camera, digital microphone, Four USB ports, Intel® 45 Express chipset, Wireless LAN 802, Media Card Reader, DOS Operating system. Now it is available in online store. Indestructibly make to survive daily sport and slash, in typical black to go with your business method. Vostro 1014 is intended to help you stay your center on your business. The 2 GB DDR2 RAM is built up in this model which enough for a general purpose laptop. The 250 GB SATA Hard Disk Drive is compelled in this model. The monitor of this model is the 14” Wide Display HD with anti glare or True Life that guarantees you a better picture quality. The screen resolution for the display is 1366*768. This is a laptop that let you grow your business and even broaden your budget with the simple-to-own 14" 35.6cm Dell Vostro 1014. Ranging from the boardrooms to the coffee shops to even airports and beyond, the convenient, stretchy 1014 lend a hand to be connected and make every single minute count. Outstanding Wireless Connectivity including Wireless and the Wi-Fi technology reduces the dead spots; so that you can unite anywhere your business takes you. Powered by the Intel Core 2 Duo processor, the Dell Vostro 1014 laptop boost your computing performance. Up to 320GB hard drive of this Dell 14-inch laptop offers you ample of space for your data. The 4GB RAM of this Dell notebook PC lets you listen to music, surf the web, and work on other applications, all at once. 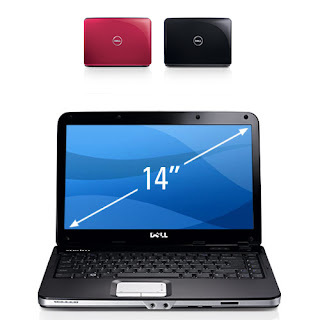 The Intel 45 Express chipset of this Dell 14-inch laptop boost the capabilities of your laptop. Integrated with Intel graphics media accelerator graphic card, this Dell XPS L511X adapter enhances your gaming experience. The Dell Vostro 1014 laptop also has Wi-Fi 2 wireless connectivity for accessing the Internet. Dell Vostro 1014 is a portable laptop designed to improve productivity of its users. It runs on Intel Core 2 Duo T5670 processor with an operating speed of 1.8GHz. The Intel GMA X4500 MHD improves the graphical performance of 1014 laptop. The display system of Vostro 1014 consists of a 14 inch wide LED display with a resolution of 1366 x 768 pixels. The system memory of Vostro 1014 is made up of 2GB DDR2 RAM with 250 GB hard disc. An integrated webcam with a microphone enables videoconferencing facility. its wireless LAN is offered by IEEE standard 802.11b/g/n. Other connectivity options of Vostro 1014 include Bluetooth and a 5-in-1 card reader. The Cordless Peripherals lets you connected to the wireless keyboards, headsets and mic via Bluetooth connectivity. The reasonable Vostro 1014 takes the benefit of the newest technology so that can take care of your company, no matter you are on your desk or on the road. The Intel Core 2 Duo processors offer trustworthy each day efficiency you require for the business. The Lightweight LED Screen and the energy-efficient 14" 35.6cm WLED screen for crispy viewing. It is being designed with Multiple Peripherals as you are being facilitated with four USB ports with two on each of the side for linking all the peripheral devices. Backpacked with 6-cell battery, the Dell Vostro 1014 notebook promises backup time up to 3 hours. The extended Dell Inspiron 14R battery life lets you work unplugged for a longer time. The Kensington lock slot ensures maximum security for your laptop. Dell Vostro 1014 brings in performance along with mobility. It can be used in home to shops to airports and beyond. Its excellent wireless support can be used to connect to Internet from wherever you want. Flexible connectivity options allow easy data transfer from almost any flash cards. Its Bluetooth connectivity enables connecting of wireless keyboard, mouse, and headphones. This laptop is an affordable choice for businessman, student and simple work out and Internet use. It gives you what it is meant for, what else can you expect in this range. The only drawback is bad sound quality but you can add some extra speakers if you are using it at home. Overall it is a good value for money.